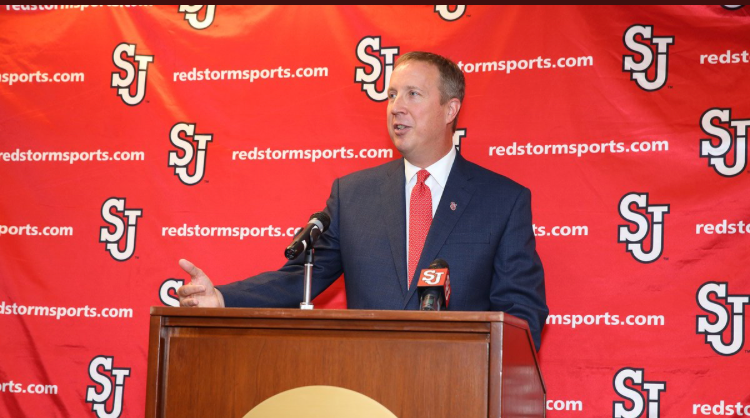 St. John’s University introduced Mike Cragg as their seventh athletic director on Tuesday in a press conference inside Carnesecca Arena. Cragg comes to St. John’s following a three-decade-long tenure at Duke, where he served as the COO helped the men’s basketball program solidify its reputation as one of the nation’s best. “For us, we wanted to be at a place that values the student-athletes and has a mission of strong core values,” said Cragg. “We’ve been in that for a long time, so coming here we feel like it’s very much family first and a place where you can believe and care for each other. That’s the culture we want to be part of and it’s actually much better than I ever imagined. Having overseen operations and facilities for all 27 of Duke’s athletic teams, Cragg, the senior administrator for the Duke men’s basketball program since 2000, possesses one of the most unique skill sets in all of college athletics. In addition to his roles in operations and facilities management, Cragg also carries a significant penchant for fundraising, as he helped Duke raise more than $115 million through the creation of the Duke Basketball Legacy Fund near the turn of the last century. Additionally, Cragg also boasts a background in communications, having served as the primary media relations contact for the Blue Devil men’s basketball program throughout the 1990s. Cragg was welcomed to the podium on Tuesday by Conrado “Bobby” Gempesaw, Ph. D., President, St. John’s University, who spoke about the program’s promising future with Cragg at the helm. 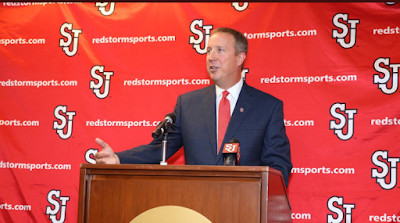 A number of distinguished guests were in attendance for Tuesday afternoon’s press conference, including Hall of Fame Head Coach Lou Carnesecca and Athletic Director Emeritus Jack Kaiser, both of whom Cragg publicly thanked for their warm welcome to St. John’s. Additionally, the men’s basketball team paused its midday practice to be present at the event.